You usually don’t even notice it, but twelve to twenty times per minute, day after day, you breathe — thanks to your body’s respiratory system. 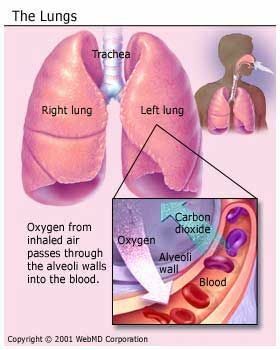 Your lungsexpand and contract, supplying life-sustaining oxygen to your body and removing from it, a waste product called carbon dioxide. The ghost town of Picher is located in Ottawa County, Oklahoma, United States of America. The town was founded in the days when the United States entered into World War I. Picher, situated at the middle of the Tri-State Mining District, an area covering more than 2500 square miles in southwestern Missouri, southeastern Kansas and northeastern Oklahoma, became a leading national center of the lead and zinc mining industry. 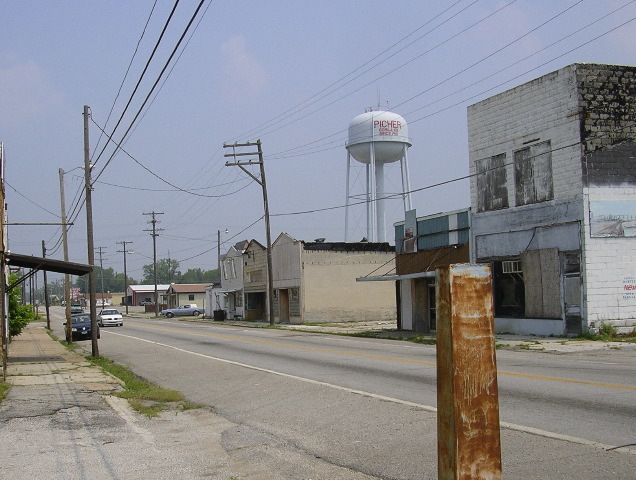 In September 2009, the year after the town was struck by an EF4 rated tornado, the residents of Pitcher left the town. 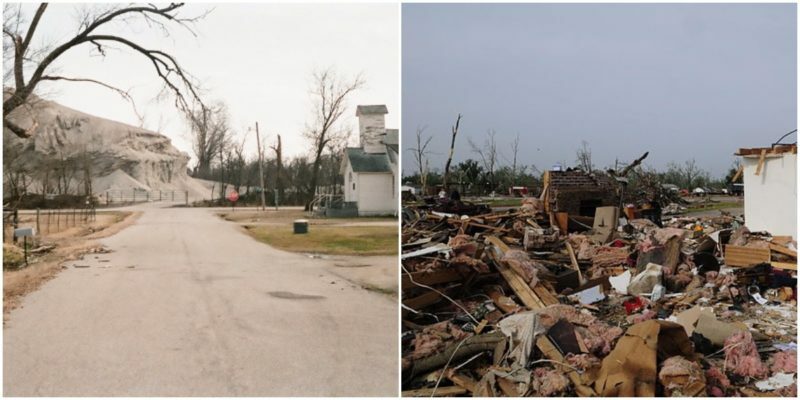 But the tornado wasn’t the main reason why this once thriving community became completely deserted, although it took eight lives and damaged 150 houses. The real problem was, and still is, the lead and other heavy metals in the drinking water and the soil. The Environmental Protection Agency of USA categorized the small town of Picher as the most toxic town in America. The birth of Picher was in 1913, during the growth of the Tri-State mining district, when Harry Crawfish staked a claim to the lead and zinc ore at this location. A flourishing community started to grow literally overnight around the new mines and soon developed into a new town, which was incorporated as a municipality in March 1918. It was named Picher after O. S. Picher, the owner of Picher Lead Company. The wartime demand for metal production was answered by the Tri-State district. During World War I more than fifty percent of the zinc and metal used in the war was produced by the Picher district, and during both World Wars combined, 75 percent of all the bullets and bombshells used by American soldiers were produced from metals mined in the region. Before the discovering of zinc in the area around Picher, Germany had monopoly of the zinc industry, because they controlled the zinc mines in Belgium. The population of Picher kept on growing, from 9000 inhabitants in 1920 to approximately 14,ooo at it’s peak population in 1926. The mines employed 14,000 miners plus another 4000 people working in mining services. Many workers came to work in Picher from the near towns, but also from as far away towns as Joplin, Missouri and Carthage. Production fell throughout the 1930s as the Great Depression swept the country meaning that many employees were laid off and people started to leave the town, but World War II brought Picher another boom. By 1967 the mining came to an end and so water pumping from the mines ended. The contaminated water left behind in approximately 14000 abandoned mine shafts, 70 millions of mine crushed rocks and 36 million tons of mill sand and mud became a huge environmental problem. Many man-made mountains of mining waste, known as chat piles, formed of crushed limestone, dolomite and silica-laden sedimentary rock and about 300 feet high had accumulated after the years of extracting the metal ore. The town in the 1970s had nearly 2000 inhabitants and the chat piles became an essential part of the town’s culture. People would go onto the chat piles for picnic and kids were biking on them. But, at the end of the 1970’s they started to realize that their health was in danger. Pollution from heavy metals from the chat piles became apparent. Waters began running red and people started to get sick very often. The town slowly became hazardous. It was also discovered that because of years of unregulated mining operations, numerous large tunnels had been carved under the town. Sinkholes started to appear as mines were abandoned leaving many of the town’s structures unstable. Officials realized that the safety of the inhabitants couldn’t be guaranteed. They determined that 86 percent of town’s structures were dangerously eroded and the town was at risk of collapse at any time. JOHANNESBURG – When Rose Plaatjies, 63, was moved to Riverlea Extension 1, Johannesburg, about 40 years ago by the apartheid government, she had no idea the deadly chemicals from mines in the area would make her terminally ill.
Plaatjies, who requires an oxygen machine for up to 16 hours a day to stay alive, is among thousands of Johannesburg residents who suffer from respiratory infections as a result of mining, according to a report released by the Bench Marks Foundation. “The toxic dust is the truth. 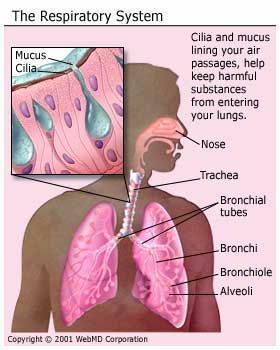 My lungs can’t help me to breathe any more. “Our children have eczema and eye problems and they are born with disorders,” Plaatjies told journalists this week. Plaatjies was speaking in Riverlea during the launch of the Bench Marks Foundation report titled Waiting to Inhale, focused on four mine-affected communities, Riverlea, Diepkloof, Meadowlands and Doornkop. The report found that 56.1percent of Soweto residents had identified sinus, asthma and tuberculosis as their most persistent ailments, with 4percent saying they suffered from eye problems. David van Wyk, lead researcher for Bench Marks, the non-profit, faith-based organisation owned by the churches in South Africa, said the situation was dire due to acid mine drainage. Van Wyk charged that acid mine drainage was the result of over a century of abusive mining practice which had become a real threat to the wellbeing of residents. “The government should stop putting poor people in an unsafe and unhealthy environment.” He said that acid mine drainage severely degraded water quality, killed aquatic life and made water virtually unusable. “Mining, by its very nature consumes, diverts and can seriously pollute water, air and soil resources. “Negative impacts can vary from sedimentation caused by poorly built roads during exploration to the disturbance of water during mining construction.” The study said that Soweto was in a basin to the south and south-west of Johannesburg and was directly below the mines of the central rand – from Langlaagte and Crown Mines in the east through to Durban Roodepoort Deep and Doornkop in the west. This year the Bench Mark Foundation marks 10 years of reporting on the impact of mining on near-mine communities on the platinum belt in the North West and Limpopo, the diamond fields along the west coast of South Africa, and the coal fields in Mpumalanga.